Happy Friday everyone! Today I have for you swatches from Frenzy Polish‘s new Spring Collection releasing tonight at 9pm eastern! This collection consists 17 polishes – holos, glitters, jellies, crellies, creams, flakies – there’s something for everyone! I will be reviewing part 1 which consists the 9 polishes shown in the collage below. Iris Fields is a berry jelly polish that is packed with dark blue, red, and yellow hex glitters in various sizes, matte white square glitters, and various color micro glitter. Two coats with top coat. This polish is so… squishy! 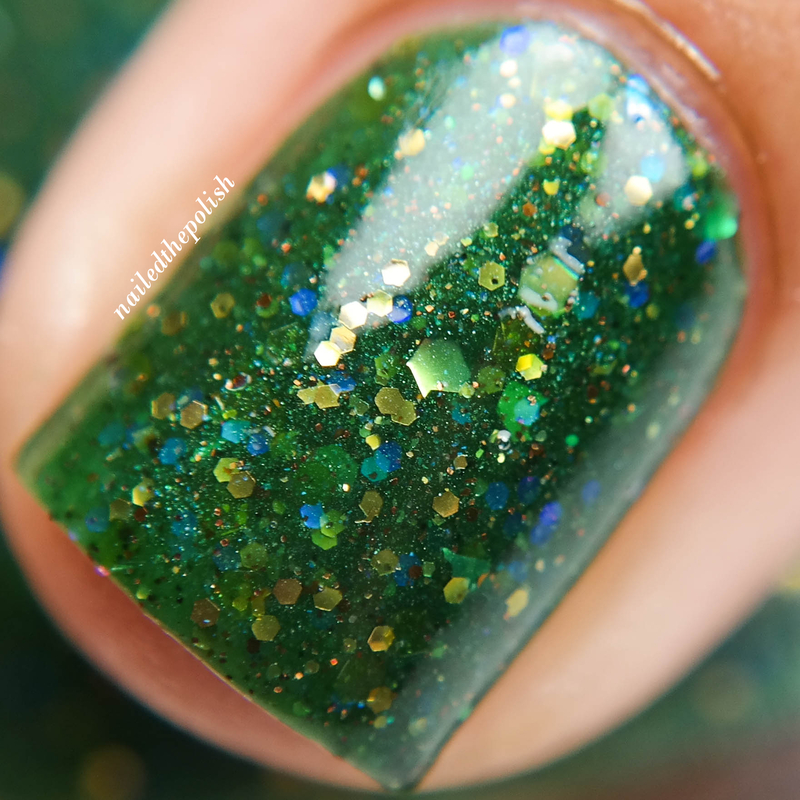 There is no fishing required and the formula is amazing considering the type of polish this is. Looks like my nails are ready to party! Raindrops on Poppies is a deep red creme polish with gold color-shifting flakies and added shimmers. Two coats with top coat. This polish is smokin’ hot! I adore the flakies and shimmer in this polish. One note – upon removing this polish I had slight staining which was removed after a couple minutes by wiping pure acetone over my nails with a cotton ball. Is it a deal breaker? Definitely not! 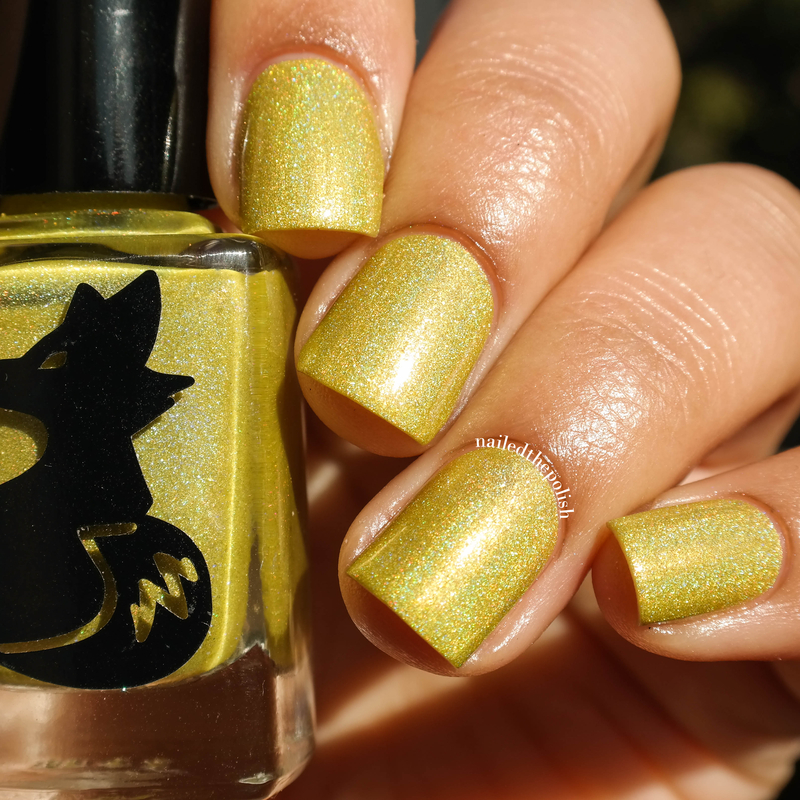 Sunshine Makes Me Sneezy is a sunshine yellow linear holographic polish with added gold shimmers/micro flakies. Two coats with top coat. While the sun might make some people sneezy, this polish is sure to make everyone happy. Pure perfection. Look at those gold shimmers! Catching Fire Flies is a forest green jelly polish that is filled with metallic royal blue, green, and gold glitters in various sizes with added micro metallic glitters. Two coats with top coat. Just like Iris Fields, I could not be happier with the formula considering how much glitter there is! I love how fitting the name is for this polish. 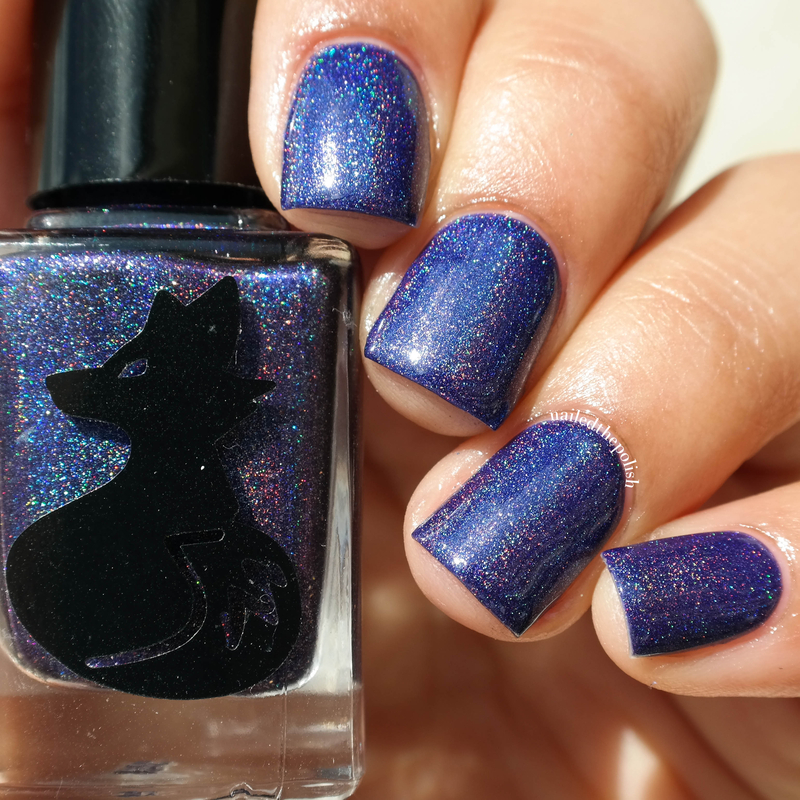 Raining Cats and… Just Cats is a bright sky blue crelly jam packed with light and dark blue square and hex glitters in various sizes with holographic silver glitters. Two amazing coats with top coat. Now I am not what you would call a crelly lover (I’m quite the opposite actually lol) but I really REALLY like this polish! 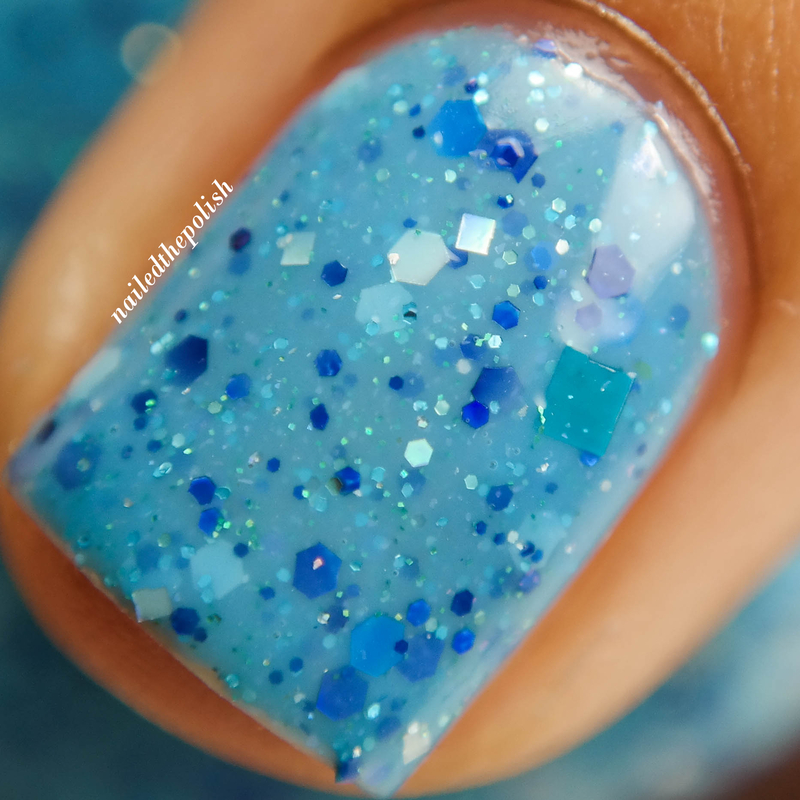 Such a perfect shade of blue and a great variety of glitters that compliment it perfectly! Purple Calla is a deep purple linear holographic polish that leans slightly blueish is certain lighting. ONE coat with top coat. What can I say about this polish…. Perfect. Perfect. Perfect. Oh did I mention that it’s PERFECT? Doing my happy holo dance! In Like a Lion… is a duo-chrome creme polish that shifts from a light plum to a milk-chocolate brown with color shifting glass flakes. Two coats with top coat. The glass flakes definitely make this polish for me. Aaaahhh color shifting goodness! 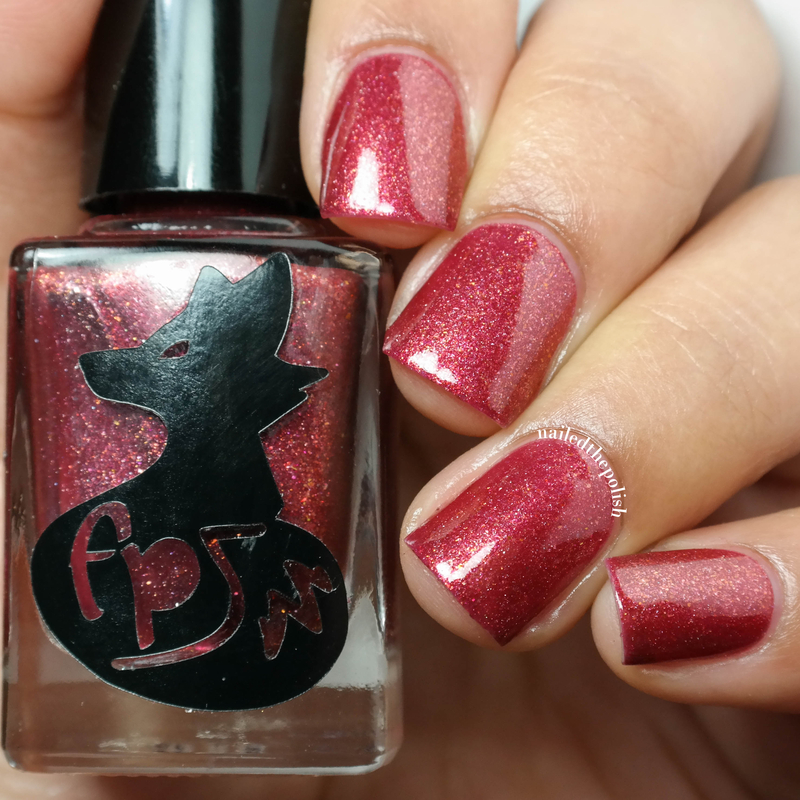 In Like a Lion… is part of a duo with the following polish! …Out Like a Lamb is a soft pale pink creme with pink/purple shimmers, rainbow multichrome flakies, and red and gold micro glitters. Two coats with top coat. 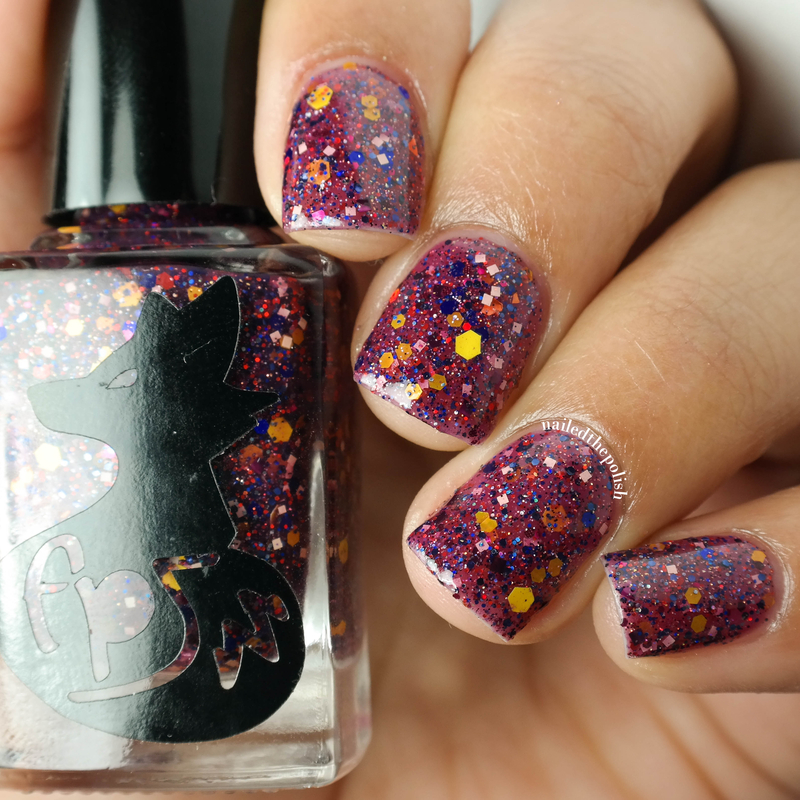 All the shimmers, flakies, and glitters flow so well with each other that I just wanna cuddle with this polish. I don’t know how else to explain it! Fields of Holo is a holographic silver micro glitter with scattered green holographic hex glitters. Two regular coats with top coat. I’m still in shock that I was able to achieve such opacity in just two regular coats, no sponging! So much holo, so much sparkle, so much happiness! 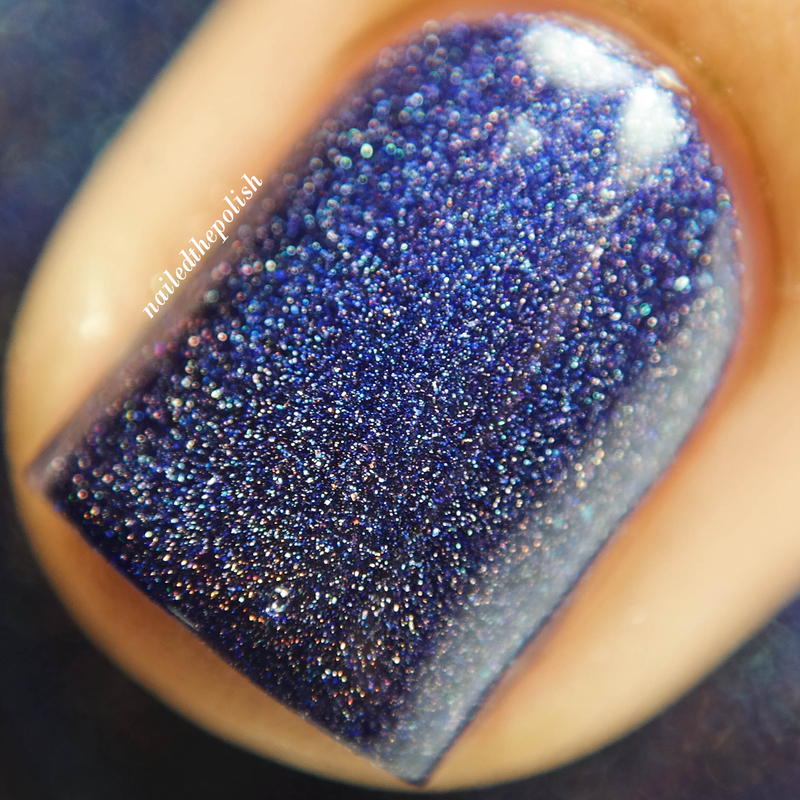 Okay in all seriousness… I love Fields of Holo, …Out Like a Lamb, Purple Calla, and… (ugh so tough!) Catching Fire Flies. There is not a single polish that I wouldn’t recommend from this collection, even those from part 2 that I didn’t swatch. Trust me, you will not be disappointed! This collection is releasing tonight at 9pm eastern and will be available for purchase here. Also check out Frenzy Polish on Instagram and Facebook for more photos of the entire collection!